Every industry and facility has unique needs that may not match CSI’s standard clean-in-place (CIP) systems. When this is the case, CSI can fabricate a custom system to accommodate any requirements. Customization is often used for applications that require specialized programming or mechanical equipment. 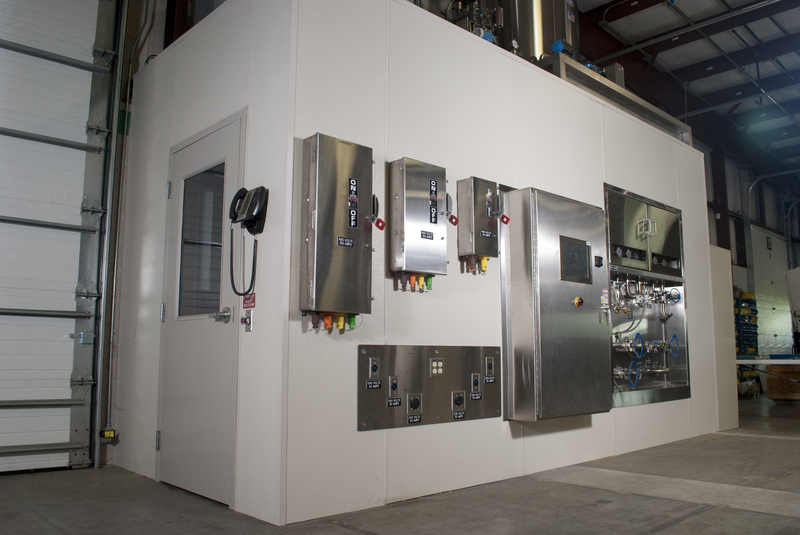 A custom CIP system allows the user freedom to choose from a vast supply of sanitary options. 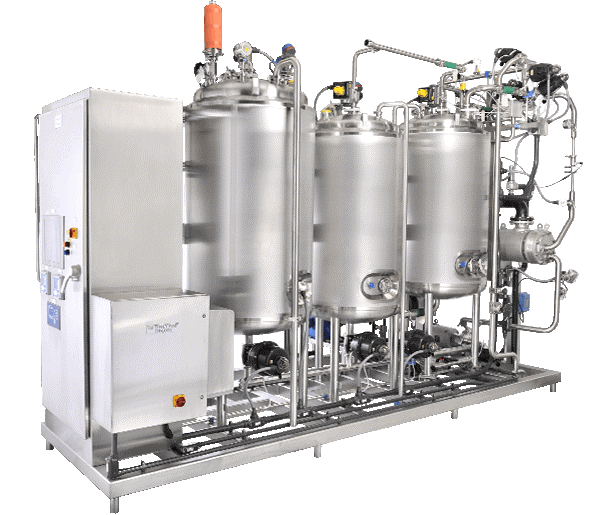 Systems built for pharmaceutical and biotech industries have stringent needs that often require special tank designs, high purity valves and pumps, higher finish requirements, and full documentation. Processors in the food, dairy, and beverage industries can need individualized controls. CSI works directly with Rockwell Automation Group to program skids to user specifications. CSI process engineers methodically consider each and every detail while designing these skids. All improvements or changes are discussed with the customer before fabrication begins. Once a final design is established, it is sent back to the customer for review and final approval. When the design is approved, a team of skilled craftsmen, project managers, and quality inspectors work together so that each step of the process is covered. Once the skid finishes fabrication, it enters a vigorous Factory Acceptance Test (FAT), where the equipment and controls are tested for functionality. The user is invited to CSI’s facility to view how the skid operates during FAT. This process gives CSI and the user time to review critical mechanical, fabrication, and documentation aspects. The extensive test reduces facility start-up times and serves to provide added user assurance. Ample electrical power, clean steam, hot and cold water, clean air, and more utilities are piped into a 200-square-foot control room with an additional 750 square foot testing area. Custom CIP skids fit unique needs for individual applications and industries. Each detail is planned meticulously and executed with precision. For those with distinct requirements, there is no better fit than a custom CIP skid. Literature for Custom CIP have been saved to your dashboard! Literature for Custom CIP are already in your dashboard.